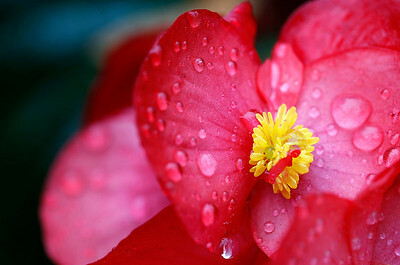 Matthew Apgar - mapgar@shawmedia.com Raindrops collect on flowering begonias on Tuesday, Sep 29, 2015 in Crystal Lake. Matthew Apgar - mapgar@shawmedia.com Marguerite Faults of Crystal Lake is reflected in a puddle as she tries to stay dry while shopping in the Brink Street Market on Tuesday, Sep 29, 2015 in Crystal Lake. 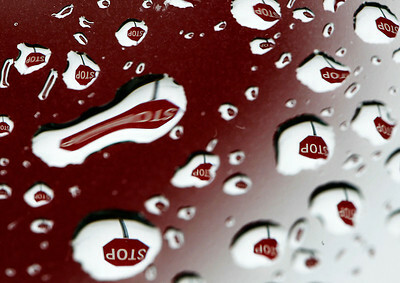 Matthew Apgar - mapgar@shawmedia.com A stop sign is reflected in raindrops collected on an automobile windshield on Tuesday, Sep 29, 2015 in Johnsburg. 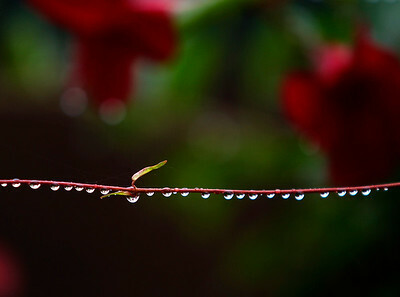 Matthew Apgar - mapgar@shawmedia.com Raindrops collect on flowers on Tuesday, Sep 29, 2015 in Crystal Lake. 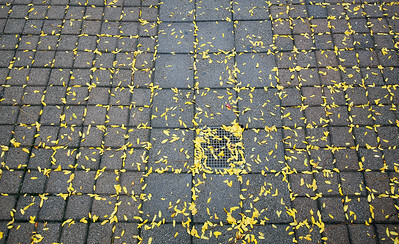 Matthew Apgar - mapgar@shawmedia.com Leaves collect on the wet sidewalk at the Brink Street Market on Tuesday, Sep 29, 2015 in Crystal Lake. 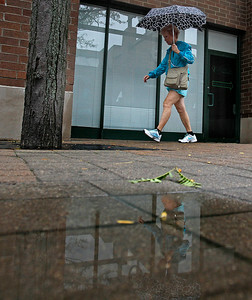 Marguerite Faults of Crystal Lake is reflected in a puddle as she tries to stay dry while shopping in the Brink Street Market on Tuesday, Sep 29, 2015 in Crystal Lake.